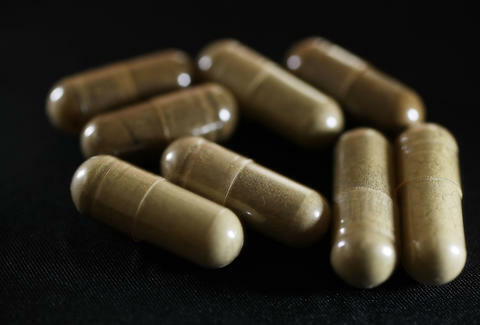 Kratom as an herbal medicine has become popular. Manufacturers, as well as online and physical shops, are currently teeming despite federal detractors. New products like the Mojo Pimp Kratom have entered the market. If you reflect on it, the brand name is catchy. Now, what basically is the Mojo Pimp Kratom? The Mojo Pimp Kratom is a product distributed by Synche Enterprises. The manufacturer is based in New Orleans, Louisiana. The management affirmed that they perform their best to offer premium products and at the same time adhere to high ethical standards. Synche Enterprises sells the Mojo Pimp Kratom in capsule and powdered leaf forms. One sachet of the kratom capsules weighs 16 grams. It contains 32 pieces and retails for $16. Based on the manufacturer’s website, the capsules are one of their best-sellers. On the other hand, the powdered leaf form is also available in sachets. Weighing 20 grams, it also has the price tag of $16. According to some websites, the Mojo Pimp Kratom is available in local headshops and smoke shops. The maeng da kratom is among the well-known and potent strains of the tree-based alternative medicine. Hailing from Southeast Asia, this kratom strain is known as a water pest delicacy Lethocerus Indicus in Thailand. Regular kratom users and aficionados call the maeng da as “Pimp Grade” kratom. In addition, the “pimp” kratom is grown and harvested by Indonesian farmers. Aside from Thailand, people can also find the maeng da kratom from other Southeast Asian locations like Jong Kong, Bunut, and West Kalimantan. The maeng da kratom is also referred to as the “Working Man’s Kratom.” It is ideal for manual laborers because of its mind-boosting effects. Moreover, those who take proper dosages of the “pimp” kratom can feel increased alertness. The analgesic property of this strain gives users the tranquilizing relief from body aches. Side effects are inevitable if the maeng da kratom is taken in wrongful dosages. Jitters, anxiety, and dizziness are among these discomforts. At this point, there are barely any notable customer reviews that can be found online for the Mojo Pimp Kratom. One review dates back to June 2013 at Rollitup.org. The commenter said that he took ten capsules of the product and it barely had an effect. Hence, he said that he took five more capsules and that was the time when he experienced the potency of the kratom. The commenter said that he felt like he was on “pain meds” and was stimulated. He said that he took 20 capsules in total that night and furthered that he felt “high as a kite.” Meanwhile, the website, Wekratom.com, described the product, its cost, and its packaging. In addition, it voiced out the problems with the distributor of Mojo Pimp Kratom. For one, Synche Enterprises sells limited product offerings. There is no variety in their merchandise. Furthermore, insufficient information is provided about Mojo Pimp Kratom. Wekratom.com complained about the company not giving significant details like the product’s history, manufacturing, proper dosage, and benefits. Given this nature of the Mojo Pimp Kratom, it appears that it would be difficult for it to gain buyers, especially the intelligent and meticulous ones. These consumers not only want great value for their money but most importantly, they will not compromise their health and well-being by using an unfamiliar kratom product. So, before you try out this type of kratom, do further research. Also, it is highly advisable to seek out other renowned brands that have a loyal customer base, have numerous reviews about their products, and a credible website. Furthermore, detailed info about their products along with the proper dosage should be included as well.